LONDON (UK)- One of the fastest shark species of the world has seen a decline of 60% in the Atlantic over about 75 years. IUCN warns for the threatening extinction of the shortfin mako shark in the Atlantic Ocean. 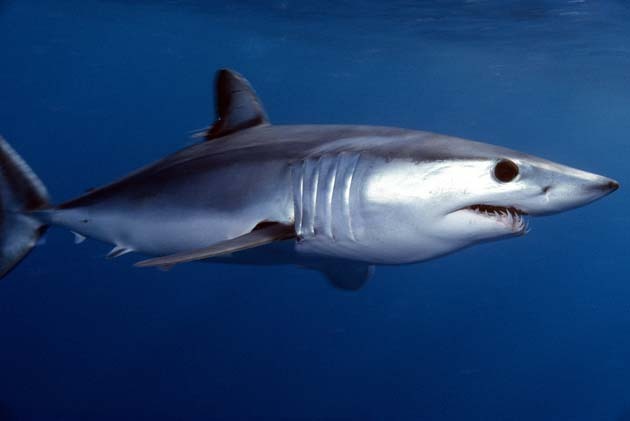 Its cousin the Longfin Mako Shark has also been assessed as an Endangered Species. Makos migrate great distances, don’t reproduce until their late teens, and are valued in many countries for both meat and fins; however, they are not subject to any international fishing quotas. The Shark Specialist Group (SSG) of the International Union for the Conservation of Nature (IUCN) today released updated Red List Assessments for 58 species of sharks and rays, 17 of which were classified as threatened with extinction. The results are part of a global project to assess population trends based on a series of expert workshops, the first of which focused on Australian species as well as oceanic species found worldwide. The importance of fisheries management was reflected in the 41 updated Red List Assessments for the sharks and rays of Australia, a world leader in shark conservation. 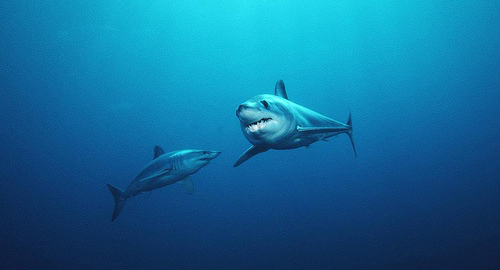 Two mako sharks. Photo courtesy of NOAA Fisheries Service. Flickr/Creative Commons. Read more on the IUCN website.